This colorful combination of crisp vegetables and warm tofu makes a quick and tasty protein-packed meal. Make sure to press most of the liquid out of the tofu so that it browns well when seared. Look for edamame (Japanese soybeans) in the frozen section of your supermarket. 1.Bring a medium saucepan of salted water to a boil. Add edamame and cook 5 minutes. Drain. 2.Slice tofu into 4 (1/2") slices. Lay flat on paper towels, top with another layer of paper towels, and gently press out liquid. Rub with ginger and season well with salt and pepper. 3.Heat canola oil in a large skillet over medium-high heat. Brown tofu on both sides until lightly golden, 2 to 3 minutes per side. Remove from heat. 4.Combine edamame, cucumber, bell pepper, scallion, sesame oil, and soy sauce in a mixing bowl. Season to taste with salt and pepper. 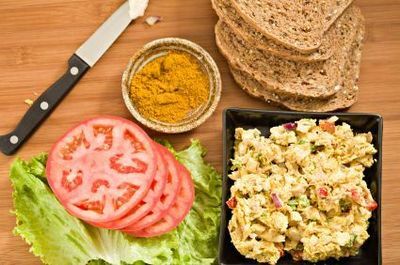 Divide salad among 2 plates, top with tofu, and serve. 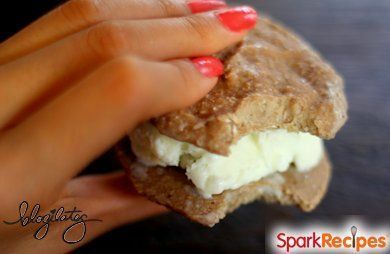 *To drain the cottage cheese, place it in a coffee filter and allow the liquid to drain off before using in your cal zone recipe. Tips:Use any combination of veggies from your garden or the farmers market: eggplant, peppers, tomatoes, spinach... the possibilities are endless. No grill pan? Use a foil packet instead. Preheat the grill to 375 degrees. Place a grill pan prepped with nonstick spray on the grill. Add the peppers, onion and garlic, and cook for 15 minutes, stirring every 5 minutes. Meanwhile, combine the cottage cheese and herbs in a small bowl. Raise the temperature of the grill to 400 degrees. Top with 2 tablespoons of the cottage cheese mixture. Fold over the dough and seal the seams with a fork. Mist the top of the dough with nonstick spray. Transfer the baking stone to the grill, cover and bake for 20 minutes, or the calzones are golden brown on top. Serve warm with your favorite tomato sauce. Serving Size: Makes 4 calzones. Tips:I love this recipe because I can serve it to my family for dinner and have plenty of leftovers for lunches. It's spicy without any heat, so it's a great intro to new flavors for those with mild palates. 1 Rub chilies onto both sides of steak; place steak in a resealable plastic bag and let marinate at room temperature for 1 hour. 2 Heat the broiler and broiler pan for 10 minutes. Place steak on broiler pan and cook for 4 to 5 minutes per side for medium-rare. Remove from the broiler, transfer to a cutting board, and let steak rest for 5 minutes. Cut into thin slices across the grain. 3 In a medium bowl, combine lettuce, tomatoes, sour cream, lime juice, and salt. Heat wraps in the oven or microwave according to package directions. Divide lettuce mixture and steak evenly among wraps, roll up, and serve. Lightly spray a 9 x 13 inch. baking dish with cooking spray. With a handheld mixer, mix cream cheese, eggs, pepper garlic powder and Parmesan cheese until combined. Sprinkle pizza with garlic powder. Bake an additional 8-10 minutes. 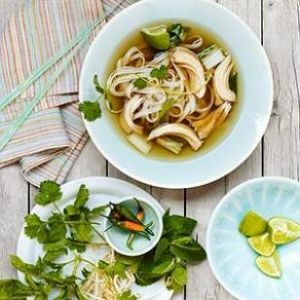 Vegetarian pho:Use vegetable stock or broth and skip the fish sauce. Instead of slices of beef, top the pho with tofu, seitan, mushrooms, bok choy, broccoli, or other vegetables.See here for a full recipe:Vegetarian Pho. Storing leftovers:Leftover noodles stored in broth will ultimately absorb all the broth and become gummy. If you have leftovers, store the noodles, the broth, the beef, and the toppings in separate containers. Raw slices of beef will keep for a day or two; they can also be quickly cooked in hot broth and then kept refrigerated for up to 5 days. When reheating, assemble the noodles, beef, and broth in a bowl and microwave; top with garnishes before serving. An easy low carb recipe for marinara or pizza sauce! Puree the tomatoes in a small blender or magic bullet. Stir in the remaining ingredients. Taste and adjust salt if necessary. Mise en place: You will need a 2 quart sauce pan, food processor, and a microplane or grater. I like to pulse my cranberries, just to wake them up and split them. In a food processor, pulse the cranberries 3 short pulses. Place them in your pot and cover with ½ cup water. (I use reverse osmosis water). Grate the orange peel in the pot, then slice the peel off and discard, section the orange and add to the pot. Add 1/3 cup of date syrup and heat on medium heat for about 10 minutes until bubbling. Watch the pot as it will cook down fast – shut it off when it bubbles and let cool. 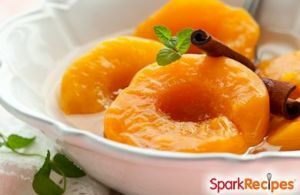 The natural pectin in the fruit will make it jell in the fridge. Mix ingredients together in blender until well mixed, and portion out into small cups. Chill. Bake red velvet cake per instructions on box. Once baked, let sit out to cool for 5 minutes. In bowl, crumble cake and mix cream cheese frosting until pasty. Roll into 48 inch sized balls onto a cookie sheet with wax paper or tinfoil for easy clean up. Freeze overnight in the freezer (could push a few hours if you're in a rush.) Take out of freezer and stick each with a toothpick. Melt chocolate bark until smooth. Dip each ball into the chocolate bark and shake off excess. Place back on cookie sheet until hardened. Serve then or take to your family holiday. Tips: Love this recipe? Check out Marisa Churchill's cookbook Sweet & Skinny: 100 Recipes for Enjoying Life's Sweeter Side Without Tipping the Scales for more low-fat, low-sugar recipes to keep you slim while satisfying your cravings! Serving Size: Makes 4 servings Sparkpeople.com have some wonderful recipes, check out their site! This amazing ice cream cookie sandwich has no dairy and no added sugar. It contains just two simple, healthy ingredients that combine to make a delicious frozen treat. 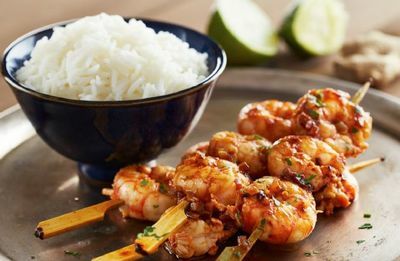 Another great one from Sparkpeople.com recipes! They have no added sugar are gluten free, wheat free and grain free. The lemon zest is not strong but just enough to give it flavour. Bake in a bain marie water bath, and they turn our soft rather than a solid baked custard. Sugar free baked lemon custard are brilliant to accompany roast lemon tarragon chicken. They can also be eaten cold the next day. Whisk the eggs with a hand whisk and add the milk and stevia. Carefully place into the oven and bake at 180C for approximately 30 minutes, or until the center is cooked and no longer 'wobbly'. Can add 1/2 cups of walnuts if you like. Melt Peanut Butter and coconut oil and honey over medium low heat in saucepan. When melted, take off heat and stirn oats, shredded coconut, chocolate chips and vanilla extract. 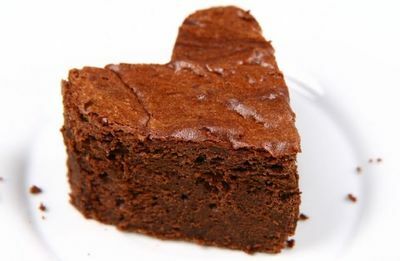 Pour into 9x13 pan, and put in refrigerator to cool (1-2 hours) When it's set cut into bars and enjoy. I ended up needing less than 1"x1" squares cut because these were so incredibly rich. Highest glycemic index on any ingredient is 60, so even decent for low glycemic index or diabetics if you eat small amounts. Serving Size: Makes one 9"13" pan, cut to 12 or more servings, very rich! We swapped Greek yogurt for half the butter, cut the sugar in half, and used a 50-50 mix of all-purpose and whole wheat flours. You'll never notice the difference! Heat the oven to 350 degrees. Grease and flour two 8.5 x 4.5 x 2.5 inch loaf pans. Combine the milk with 1 tablespoon lemon juice, stir, and set aside. Cream the butter, yogurt, and 1 cup of granulated sugar in the bowl of an electric mixer fitted with the paddle attachment for about 5 minutes, or until light and fluffy. With the mixer on medium speed, beat in the eggs and egg whites, one at a time. Fold in the lemon zest. In a large bowl, sift together the flours, baking powder, baking soda and salt. In another bowl, combine 1/4 cup of the juice, the milk mixture and vanilla. Add the flour and buttermilk mixtures to the batter alternately, beginning and ending with the flour. Divide the batter evenly between the pans, smooth the tops, and bake for 45 minutes to 1 hour, or until a cake tester comes out clean. While the cakes bake, cook the remaining 1/2 cup granulated sugar with 1/2 cup juice in a small saucepan over low heat until the sugar dissolves. When the cakes are done, let them cool for 10 minutes. Take them out of the pans and place them on a baking rack set over a tray. Spoon the syrup over the cakes and allow the cakes to cool completely. For Valentine's Day, bake in heart-shaped cupcake tins or use a cookie cutter to form them into hearts.See picture at top of page. Introduction:Packed with flavor but not carbs, this dessert is sure to please!